This article covers how technology and standards development for e-health are coming together and improving the lives of individuals across the globe. IoT's effects on e-health are discussed, and the importance of IEEE P2413 is brought to light. The need for the IEEE 11073 standards family is also highlighted, and how it is intended to support plug-and-play, seamless communications among various e-health devices and other healthcare systems and personal health appliances. "The Internet of Things converges intelligent products and services that communicate with each other, and with people, over global networks. As a market, it has arrived. And now it is ready for prime time exposure at CES, one of the world's largest high tech events every year." What Is the Role of IoT in Water Quality, Conservation and Management? In this Q&A, UHQ and Oleg Logvinov, chair of the IEEE P2413 Standard for an Architectural Framework for the Internet of Things Working Group, discusses how IoT can potentially improve Water Quality, Conservation and Management. In this article, Dr. Adams relays that actually, at the center of the Internet of Things is the person using the many applications and services that IoT will provide. He goes on to say that there is a vision is taking shape around the world of people being connected ubiquitously across smart cities, smart buildings, smart cars and, even through sensors on or in their bodies in areas such as e-health, and that IoT is one of the foundational platforms on which this notion of the "connected person" is predicated. He discusses several IEEE standards helping IoT take shape, and highlights the need for additional standards in areas such as architecture, big data, cloud computing, communications, distributed intelligence, privacy and security of data and the smart grid. Greg Shannon, Chair of the IEEE Cyber Security Initiative and chief scientist of the CERT division of the Carnegie Mellon University Software Engineering Institute speaks to the threats to enterprise security that come with advancements in the Internet of Things (IoT) and the four aspects of IoT that you don’t want to get wrong. Experts agree that products connected to the web will be huge, but cashing in on that trend isn't simple. A guide to putting money into the biggest opportunity since wireless technology made devices mobile. Steve Collier highlights how Intelligent Electronic Devices with digital communications will become part of IoT, which will ultimately make it possible to more accurately and efficiently operate and manage the grid, and then goes on to highlight a few examples of such. "Imagine a network of billions of sensors and instruments monitoring the performance of devices everywhere, from factory machinery to home appliances. The idea of this hyperconnected network-now known as the "Internet of Things" (IoT)-has been around since the 1990s, when futurists began to speculate about smart refrigerators that could alert their owners when they were out of milk and manufacturing equipment that could signal an issue long before a production-halting problem." In this interview, IEEE Senior member Kevin Curran speaks to Shubhendu Parth from Governance Now on how IoT can impact governance, IoT’s role in connected smart cities, as well as threats associated with machine-to-machine (M2M) communication. In this article on the evolution of the electric grid to support smart cities, Gilles Betis highlights IEEE's Smart Cities initiative and Guadalajara as the first city selected. Gilles also points out that embracing IoT will be critical to the success of Smart Grids and Smart Cities of the future. The Smart Grid is a platform for new technology and applications such as - IoT, eHealth, and Augmented Reality, all of which lay the groundwork for the “connected person.” In this article, Chuck Adams discusses how both current and future applications will affect the utility industry. The Internet of Things figures prominently in one of the world's earliest and groundbreaking IEEE Smart Cities Initiative projects. Victor M. Larios, Volunteer Leader of the IEEE Smart Cities Initiative Guadalajara Pilot in Guadalajara, Mexico describes the opportunities and challenges of embracing the collective technologies that will bring this urban area into Smart City status and serve as a point of reference for Smart Cities to come. IEEE standards group offers a collaboration venue to build an overarching architecture for the Internet of Things that will allow IoT systems across industries to work together. An ambitious effort, but one worth investing in as the outcomes of a unified IoT are immense. Oleg Logvinov, IEEE P2413 Chair defines the Internet of Things (IoT) and explains the role standards play. Open standards ultimately improve interoperability and reduce market fragmentation allowing for the successful building of IoT ecosystems. "Smart cars, smart gear, smart homes, smart offices and smart cities are all being developed and prototyped today, in hopes they'll benefit from the so-called "Internet of Things" (IoT). Equipping just about every object so that it can connect to the Internet is no different than bringing out single new technologies. Well, at least in one respect: Wherever there are rival standards-as purchasers of junked consumer electronics standards like Betamax and HD-DVD know-there are winners, and there are losers." 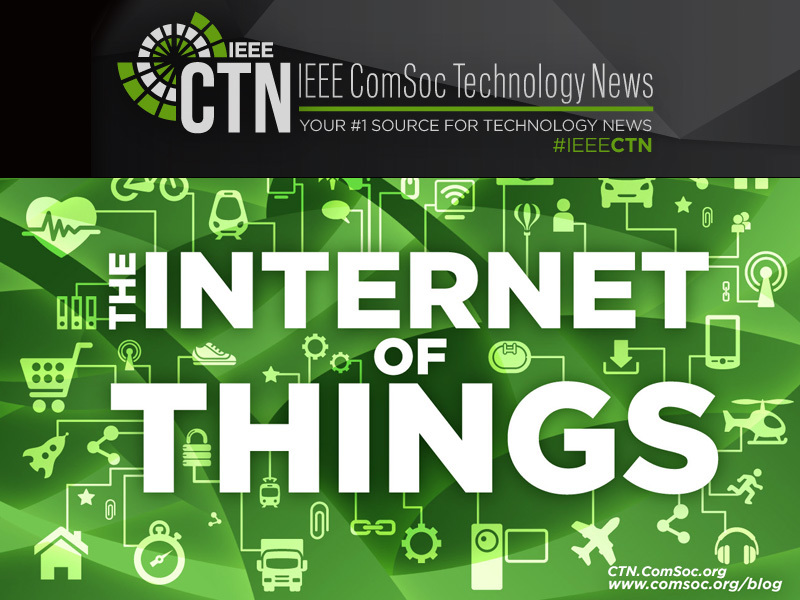 Kevin Curran, IEEE Senior member and Reader in Computer Science at the University of Ulster, outlines future considerations for the Internet of Things, such as infrastructural updates, security issues, and the need for a single standard. Bill Ash and Kathryn Bennett of IEEE take a look at the promises and hurdles of mHealth, and find a recipe for provider acceptance. "In envisioning its transformation into a “smart city,” Guadalajara started with its strengths—among them, an unusually large and strong network of colleges and universities, a high-tech community so vibrant that the city is regarded as “Mexico's Silicon Valley” and a distinctive and historic city center that throbs with the life of theater-, museum- and restaurant-goers." Does The Internet Of Things Need Its Own Network? George K. Thiruvathukal, IEEE member, discusses the measures that need to be taken for the IoT to contain its own infrastructure and network. The day is coming when your every move could prompt an automated transaction, with products that are smarter and more interconnected than ever. Out of milk? No problem: Your refrigerator will just order more. 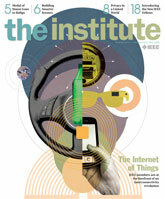 For more articles in this issue, please see IEEE Standards Education e-Magazine: Internet of Things. "Imagining the Possibilities: A century old, highly successful U.S. electric grid model began to fray in the late 1970s and in the past decade began to disintegrate at an accelerating rate. Deterioration of the foundations for the legacy grid model combined with the rise of difficult new demands and constraints changed the industry's trajectory..."
For more articles in this issue, please see The Institute Special Report: The Internet of Things. "A house that tracks your every movement through your car and automatically heats up before you get home. A toaster that talks to your refrigerator and announces when breakfast is ready through your TV. A toothbrush that tattles on kids by sending a text message to their parents. Exciting or frightening, these connected devices of the futuristic "smart" home may be familiar to fans of science fiction. Now the tech industry is making them a reality." "Last year, there were more than 10 billion units connected to the Web - a number that is predicted to increase by a magnitude of five by 2020. These connections affect the way data is moved and will undoubtedly affect the way energy is moved, as well as the future of the smart grid. FierceSmartGrid caught up with Oleg Logvinov to discuss the reality of the Internet of Things related to the smart grid." 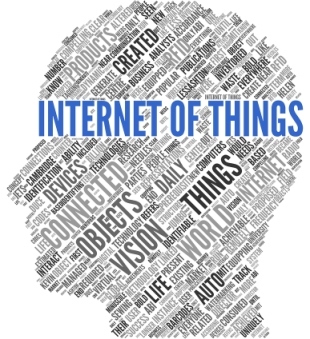 "The Internet of Things, or IoT, is in the works to interconnect billions of devices and ordinary objects, giving people the ability to track and communicate with just about anything. But what does this mean for how individuals will navigate the world, share information, and, more important, protect their privacy and security? To explore these and other questions, IEEE is hosting its first World Forum on Internet of Things from 6 to 8 March in Seoul, South Korea."